This cap is constructed with twill which mixes cotton and polyester. It is made up of prewashed fabric to give a military style look. 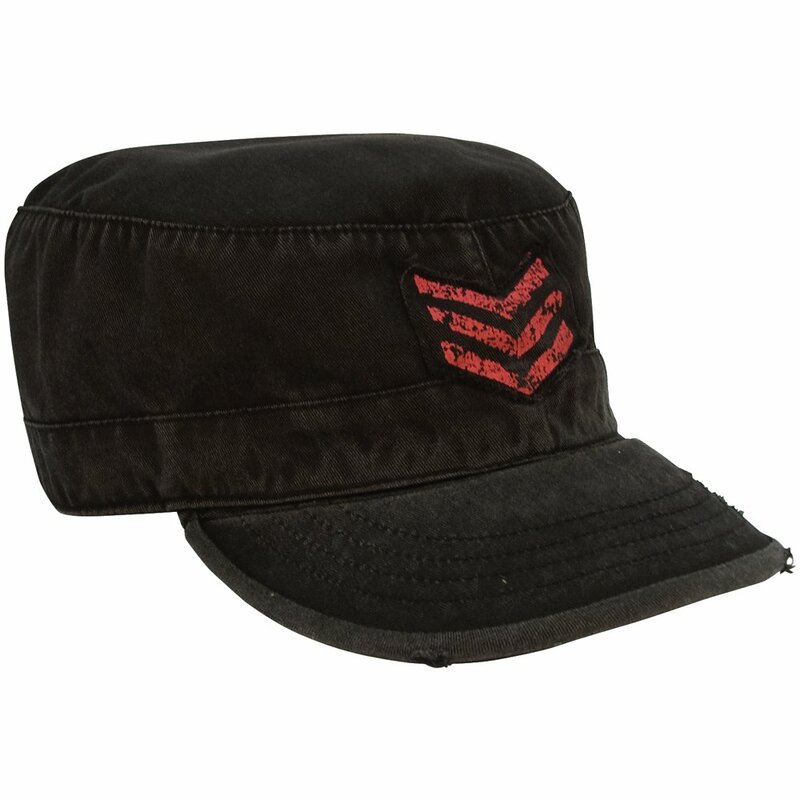 This cap is in black color and it has red colored stripes stamped on it. These caps are especially made for men. However, kids will also love to wear this army style cap. A variety of sizes are available in this cap- XSmall, Small, Medium, Large and XLarge. These caps look stylish and are comfortable to wear. These black colored army style caps give a fashionable look to you and it matches with any dress you wear.